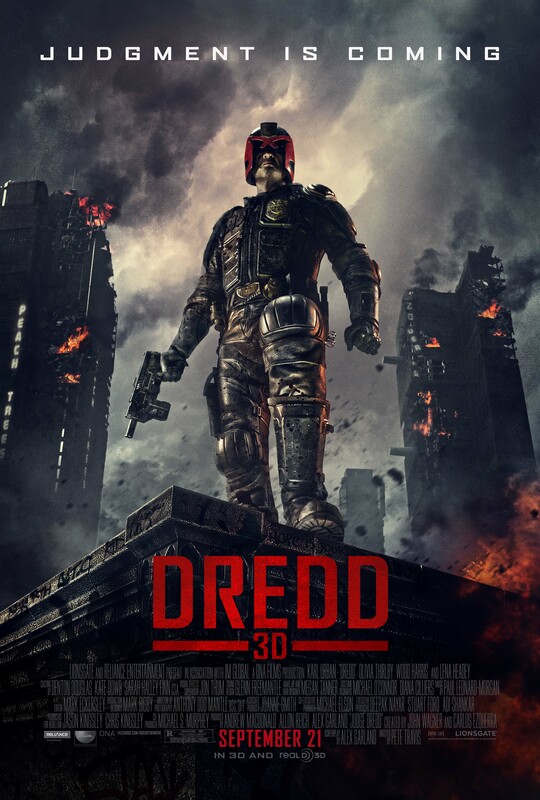 No need to watch commercial-laden TV to catch the latest 30-second spot for DREDD 3D starring Karl Urban and Olivia Thirlby – you can watch it right here! DREDD 3D opens September 21st. Check out the final poster for Judge Dredd! Here is the final movie poster for Judge Dredd. I think Karl Urban has the trademark scowl down, no? Hoping that Karl Urban’s take on Judge Dredd would help alleviate the pain of all Dredd fans that suffered through the Sylvester Stallone flop (truthfully, I enjoy it as a humorous schlock film)?? You may have to wait a while – possibly forever. Because even though filming is done, everything has been thrown into turmoil after director Peter Travis has reportedly been ejected after disagreements with the producers over the quality of footage. Writer/producer Andrew Garland has taken over as editor, and could possibly ask permission for the unusual co-director credit on the film. It looks like Judge Dredd will be returning to the big screen and bring law to the lawless. The script comes from Alex Garland (28 Days Later) and directed by Pete Travis (Endgame), with Garland, Andrew Macdonald of DNA Films, and Allon Reich, who teamed up before for 28 Weeks Later). And – surprise! – it will be in 3D. I may be in the minority, but I actually enjoyed the 1995 movie which starred Sylvester Stallone, for what it was at least…campy, much like Demolition Man.